Day 11 of the 12 days of free projects to make this the best Handmade Holiday season ever. 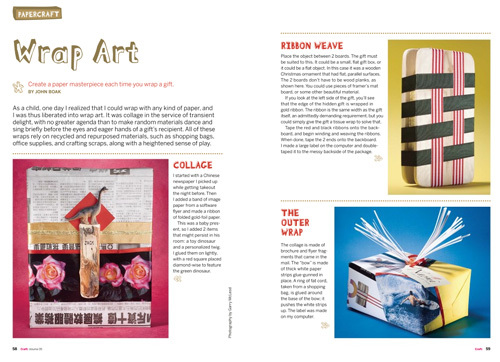 Enamored with the wrap art in the latest issue of Craft? Check out some more ideas for festive gifts here.